Subclinical cerebrovascular lesions were often ignored by readers and clinicians with the thought that these small lesions posed little to no real risk to patient health. Others assumed that the efforts to address such small lesions could invite unnecessary risk and complications. However, a new study published in the Annals of Internal Medicine highlights the potential danger of this trend. After studying the experience of a total of 1,884 subjects aged 50 to 73, with no prior history of stroke, researchers from Mississippi, Maryland, Washington, Minnesota and North Carolina concluded that "very small cerebrovascular lesions may be associated with an increased risk of stroke and death." 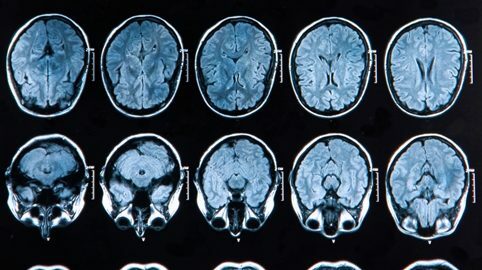 After looking at study participants' lesion size, white matter hypersensitivities (WMHs) and stroke activity, researchers found that brain lesions 3 mm or smaller were associated with a 3.47-fold increased risk of stroke among stroke-free participants. The risk increase was equivalent to that associated with larger lesions, which was 1.94-fold. "Our robust associations between lesions smaller than 3 mm and stroke and stroke-related mortality support the hypothesis that very small lesions are pathologic and clinically important," the team writes in the Annals of Internal Medicine. "Although clinicians and researchers tend to dismiss very small cerebral lesions, our findings provide evidence that this practice could warrant reconsideration." As MRI technology advances our ability to distinguish between brain lesions and normal tissue, it is crucial that cutting-edge clinical trials leverage the best medical imaging technology in conjunction with the most skilled clinicians and readers. Faced with an aging population that has historic ties to important predictors of lesions, such as hypertension and history of smoking, the ability to quickly and accurately identity even small lesions can help prevent the risk of stroke and death. For clinical trials in this area, having recognized thought leaders involved from the preclinical stage to postmarket surveillance can dramatically help improve outcomes, especially in the face of the recent finding concerning the potential risk involved with even very small lesions.